After listening to both publishers and advertisers that the new large Ad formats provide a great canvas for rich creative and perform well on many sites, Google introduced two new large Ad formats 970x250 Billboard and 300x1050 Portrait which are anticipated to help publishers reach more advertisers and also enhance user experience and engagement of a website or blog. Like as most of the Ad sizes, these two ad formats can accommodate standard text ads in addition to image ads. Additionally they can show Ad sizes of formats that are similar. So far we’ve seen ads of size 300x250 being shown in 336x280 ad space and 160x600 in 300x600 ad spaces respectively. In this case, a 300x250 would serve in 970x250 ad unit and 160x600 would serve in 300x1050 ad unit. As these both ad sizes are large ad units, you are allowed to place one one per page just like the limit 160x600 and 300x600 ad units has. Google here by advises publishers not to confuse with these large formats and reminds about the game rules. The ad units are IAB rising starts and have limited demand at present. If you install them on your blog or website, you could only see the accommodated ad formats as said above. I have started linking the Portrait. What do you think? Did u like the new ad formats? Is Google doing good introducing such a large ad formats? Speak up your thoughts in comment section below. One of the good solutions to increase the revenue from AdSense is placing ads in right place. It’s already been said in the previous article that the Ads will get more exposure when placed in the focus of the viewers. One of those areas to place the Ads is under the body of an article. You can place Ads under the article body in two possible ways. Let’s see what they are! First of all, Create an Ad unit and copy its code. Now drag the Gadget under the Blog Post area in the layout. Go to Template from the Blog’s Dashboard > Edit HTML. Press Ctrl+F to find the following code specified. Paste the Ad code you have copied earlier right after the every instance of <data:post.body/>. Save Template and reload the blog. You could see some space under the post in the size of the Ad unit you have created. Wait for 5-15 minute for the code to show up the Ad. Comment below if you need any assistance regarding the code installation or other. AdSense ads perform better when placed in right place. Even the heat map of Ad unit placement layout says the same. Every Ad unit you add should be in the sight layout of the visitor so that he can pay attention to the Ads along with the content. Placing Ad units under the title of each post would get the visitors attention every time when the page is loaded. Adding Ad units under the title is not a heavy task but a simple one which needs your little attention while adding it. Following is the process of adding a Ad unit under the title in blogger. Step 1: Create an Ad Unit from www.Adsense.com and copy the installation code. Step 2: Go to www.blogcrowds.com/resources/parse_html.php and parse the Ad code. Then copy the parsed code. The parsing code is nothing but replacement of ‘<’ with ‘&lt;’ and ‘>’ with ‘&gt;’ and so on. Step 3: Go to your blogger blog’s dashboard > Template > Edit HTML. Press Ctrl+F and find the following piece of code. Now paste the parsed Ad code right before the above piece of code. Step 4: Save template and check it on your blog. It might take 5-15 minutes to show up the Ad if it is a newly created Ad unit. If it is old, already created Ad unit code, you would see the Ad instantly. That’s all! isn’t it simple! Comment below if any assistance is needed. Thank you! Adsense, being the best earning source for blogger gives flexibility for the publishers to implement and control the ad units on their website or blog. Ads that show up on our blog might show some unwanted ads and some disturbing content sometimes. If your blog is targeting children and teenagers, better to block ads from certain sources. Google Adsense allow us to control the Ad categories to be shown on our sites. You can block or allow ads from certain sources according to your blog's niche. Click on 'Allow & Block ads' tab. Then you'll find some internal tabs Advertiser URLs, General Categories, Sensitive Categories, Ad Network, Ad Serving, Ads (Ads Review Center). Click on General categories and you will find the all categories of ads that would be showing up on your ad slots on your site/blog. You can block a whole category or you can just block some products in each category. Some ad sources are large enough to be blocked in a whole. To disable ads from such resources, simply block it's internal categories. Click on Advertiser's URLs category. Then you will find a text area asking URLs to be blocked from showing up on your website/blog. Enter URLs of advertisers you don't want to see on your website. Click on 'Block URLs' when you are done. Blocking ads from some sources might not effect your earnings, but blocking ads from many sources may. Choose wisely the categories when blocking. Why Google disables your AdSense account and how to safeguard it? Google AdSense is the best way to monetize your blog or website. The cost-per-click(CPC) given by Google AdSense program is incomparable to any other monetizing program on the web. The CPC, Google is offering to their publishers is proven the best of all publisher earning programs. Thus blogging has moved from hobby to profession with this sort of encouragement from the Google AdSense team. Some bloggers have already left their footprints in this profession so far where as some started theirs getting inspired from them. Getting adsense approved for your blog or website is not an accomplishment where as maintaining it is all matters. Any blog or website which follows the Google Adsense policies would be easily approved. If once approved, the Ads can be implemented on your future blogs and websites too. But remember to make it sure that the future blogs are also complies with Adsense program policies without any violation. If any violation is found, Google has all rights to disable your account with any notice. Getting Adsense disabled is the hard part and it would break your heart. So better to be aware of Google Adsense policies time to time and keep your blog safe from being casted out. 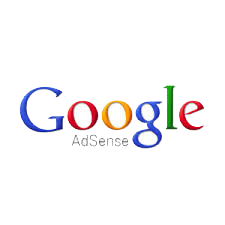 Let’s take a tour of reasons why Google could disable your adsense account. Cross check them twice carefully, optimize your blog and re-apply. Google would definitely approve this time. This is the most common reason why google disables your account. It is the part of their program policies. Google doesn’t encourage publishers clicking on their own ads manually or artificially through any means of automation of the task. Publishers may not click their own ads or use any means to inflate impressions and/or clicks artificially, including manual methods. Encouraging clicks on your ads units is also not allowed. Asking visitors to click on their ads or motivating them to click on your ads by any wrong means is also not allowed. Phrases like "click the ads", "support us", "visit these links" or other similar language is violated. Publishers may not ask others to click their ads or use deceptive implementation methods to obtain clicks. How to safeguard it: Once your adsense is disabled convicted to this violation, it is not possible to get back your account back. Report to Google if you found any strange click bomb activity on your ads. Keep checking your AdSense account for click statistics. Ad units are not to be placed on the pages or the content that violates the Adsense policies. The examples of such violated content includes adult, violent, abusing and racial intolerance issues. Read all prohibited content types from Adsense policies page. How to safeguard it: Identify the pages on which the violating content exists. Either remove ads on that page or the page itself. Re-apply now and Google would re-approve your account if there is no other violating placement of ads. Posting copy material is on your blog is not allowed. Though having a little duplicate content may not effect your SEO of site but it might show effect on your Adsense account if it is copyrighted. Remember, all duplicate content is copyrighted and all copyrighted material shouldn’t be duplicated. How to safeguard it: Remove the copyrighted content from your blog and re-apply. Getting Adsense approved, applying SEO to your blog won’t earn you profits unless you know that the techniques are you used are white hat techniques. Keyword stuffing your blog would spot you easily and throw your blog under spam category. As you know Adsense accounts won’t be entertained for spammy blogs. AdSense publishers are required to adhere to the webmaster quality guidelines. How to safeguard it: Don't use black hat SEO techniques to make your blog show up in the top search results. It might work initially but surely would be sued later. There would be no chance to re-apply if convicted with this reason. Have you changed your Ad unit code? Adsense publishers are not allowed to modify the ad unit code manually. Editing code of any ad unit is nothing but violating the program policies. Publishers are permitted to make modifications to the AdSense ad code so long as those modifications do not artificially inflate ad performance or harm advertisers. How to safeguard it: Do not make changes to your ad unit’s code. Any modification to code would inflate ad performance and considered harm to advertisers. Re-applying after implementing original code might undergo reconsideration. How about your site’s navigation? Implementing AdSense code on sites with poor navigability is not allowed. Redirecting users to unwanted websites, initiating downloads, including malware or contain pop-ups or pop-unders that interfere with site navigation is strictly not allowed. How to safeguard it: Keep your site clean from malware. Third-party plugins may bring malware to your site. Keep checking your site about malware with Google Analytics and Webmaster Tools. Remove redirections and unauthorized download links. Reapplication might be considered. Posting gambling is strictly prohibited. One should not place ads on the sites with gambling content. AdSense restricts the placement of ads on gambling sites and gambling-related content. We have different policies for gambling content based on the country in which a publisher is located. Publishers outside a limited group of countries are not allowed to place ads on any gambling content or on any pages with links to gambling content. This includes any content that allows users to place bets or play games in exchange for an opportunity to earn money or other prizes. How to safeguard it: There is no considerations and reconsiderations when convicted with this reason. Remember you are always being watched by cyber crime departments of respective countries. Hope it helped you understand why your adsense account is disabled and how to get it back. Feel free to share your thoughts in comments. Implementing Google Custom Search Engine(CSE) into your blog would boost up your AdSense earnings. Google allows AdSense users to customize the search engine and search results code as per their requirements. After creating a search engine, you can simply customize it by going to www.google.co.com/cse webpage. Though this is a great feature from Google, the opt-in-from-options type of customization of the search engine won’t give full control in to your hands. The only way to modify it to your needs is to modify the code, which is what I’m going to share with you now. If you are not aware of creating a custom search engine, consider the following method to create one. Log on to your Google AdSense account. Look for ‘Search’ from the left options pane and click on it to enter. Click on ‘New Custom Search Engine’ and fill in all necessary details. Do not save here! Expand ‘Search results’ options. Select ‘on my website using an iframe’ from the ‘Display results:’ section. Choose the width of the results area to your wish. Now ‘Save’ it and get the code. Here you will be shown ‘search box code’ and ‘results code’ separately allowing you to place search engine and results area in two different places. You may use this search bar code more than once in your blog but the results code should be used only once as to reduce confusion when searched. If you already created a custom search engine earlier, modify the ‘search results’ settings as shown above(Refer from Step 5 to 8). Copy the search results code from the codes shown and add it to your blog. Considering blogger platform, the code can be added as follows. Go to your blogger dashboard after logging in. Add the following search bar code where ever you want to display it. Paste the following CSS code before ]]></b:skin> to make search bar look like amfas tech’s custom search bar. Save your template and refresh your blog once and check if the search engine is working fine or not. Please comment if you need any guidance in adding this custom search engine to your blog. We’re happy to help you! Google rose from nothing to become the world’s most popular search engine in just a few months because it did one thing faster and better than all the rest: help Internet searchers find what they were looking for. I don’t want to overload you with the details of Google’s search algorithm (especially because it’s such a secret that if I told you, I’d have to kill you, and I would have to understand words like eigenvector and stochastic in order to explain it), but you will become a better Google advertiser when you get the basic principles. The most important word in Google’s universe is relevance. When you type a word or phrase into Google, the search engine asks the World Wide Web for the best page to show you. The big innovations Google uses are a couple of calculations: One, called PageRank, is basically a measure of the popularity of a particular page, based on how many other Web pages link to that page and how popular those pages are. (Sort of like high school — the definition of a popular kid is one who is friends with other popular kids.) The other calculation is known as Page Reputation, which answers the question, “Okay, this page may be popular, but for which topic?” The Page Reputation of a Web page determines whether it will appear in a given search; the PageRank determines whether it will be the first listing, the third, or the four million and eleventh. The entire Google empire is based on this ability to match the right Web pages, in the right priority order, with a given search phrase. The day Google starts showing irrelevant results is the day after you should have sold all your Google stock. When Google started, it only showed the results of its own calculations. These results are known as organic listings. Organic listings appear on the left side of the Google results page . In the early days of AdWords, your ad was shown based on a combination of two numbers: your bid price, or how much you were willing to pay for a click (that is, someone clicking your ad and visiting your Web page), and a very important metric called Click-Through Rate (CTR), which is the percentage of searchers who click your ad after seeing it. Now, Google also takes into account the quality of the fit between the ad and your Web site. If searchers exit your site so fast that they leave skid marks, Google figures that they didn’t find what they were looking for, and you’re penalized for irrelevance. Once you are prepared to apply for a Google Adsense account, it’s as simple as filling out a form. But there are some aspects of that form that can be a bit confusing. In this article, I’ll go over filling out the form, so that Google will approve you without any problems. You can find the form to apply for an Adsense account at: http://www.google.com/adsense/g-app-single-1. The first thing that the form asks for is the URL of your website. Note that even if you have multiple sites, Google only wants to see one. So, list the URL of the site that you have set up for the purpose of being approved for Google Adsense, and enter the URL like this: www.yourdomain.com. You do not have to include the http:// part of the URL, and don’t include any subpages of the URL, such as www.mydomain.com/mypage.html. Google wants to see the main page of the site, at the top level domain. Next, Google wants to know what language your site is published in. If your site supports multiple languages, this is fine, but this isn’t what Google wants to know. They want to know the primary language of the site – this would be the language that you used to write the pages, such as English. The next question on the form throws a lot of people into a tail spin. It asks if you are setting up an individual or business account. Here is a way to simplify this question: If you do not have an office or business that currently has 20 or more employees, you are an individual. It doesn’t matter what your future plans are. Next, select the country that you live in. The following part of the form asks for your information: name, street address, city, and state. It is important to note that when Google pays you, the check will be made out to the name that you put here, and sent to the address that you put here. So, use the information that you need to use here in order to receive the check, and to cash or deposit the check. After your name and address, Google wants your telephone number. They probably won’t call you, but sometimes they will, if there is a problem or a question. Give a good phone number where you can be reached. You do not have to provide a fax number. Here, you can also choose to receive Google’s newsletter or not. Choosing not to receive the newsletter will not have any affect on whether or not you are approved. Following this, there are a number of check boxes, all of which must be checked, before you can submit the application. By checking these boxes, you are saying that you will not click on the ads on your pages, that you will not encourage visitors to click on your ads (incentives), that you are able to receive checks that are made out to you, that you will not place ads on pornographic sites, and that you have read the Adsense program policies. Finally, you submit the form, and prepare to wait. Your site will be checked by a live human being. Approval is manual, not automated, and it can take up to three business days (72 hours) before you hear from a Google representative. That contact usually comes via email. This appears on some application forms and seems confusing to many, choose both: Adsense for Content and Adsense for Search. This means that you can run both, but don’t have to run both. You can have Google ads appear on your pages (Adsense for Content) and you can also include a Google search box on your pages (Adsense for Search), and when people use those search boxes, and click on sponsored ads in the results, you get paid for those clicks as well. If you have an Adsense website, you need traffic to make money from that site! There are numerous ways to get traffic, but since we all have limited time, you want to cut right to the chase, and find out what works. Article marketing is one of the best traffic generation methods you can use. Article marketing is a very successful and easy concept. It is used by all successful Internet Marketers, and when it comes to website promotion, you must look at things from an Internet Marketers point of view, even though, as an Adsense publisher, you aren’t exactly selling any product. Again, the concept is easy. You write a short article, approximately 400 words long. At the bottom of the article, you write an ‘author’s resource box.’ This is just a simple paragraph of text that says who the author is, gives a little background info on the author, and most importantly - a link to the author’s website. It’s about five to seven sentences long. Once the article is ready, you visit numerous article directories, which are also referred to as article banks and article repositories, and submit your article. That’s all there is to article marketing. Now, many people use these article directories. They go there to find information, or to find content for their own websites, blogs, or newsletters. The article that you submitted is free for them to use, as long as they publish it with the author’s resource box intact, and they don’t make any changes to the article. Because so many other people can (and will) publish your article elsewhere, it becomes viral. This drives traffic to your site, on a continual basis. But one article submission is not going to be enough. You need to be submitting one article per week, to at least the top ten article directories. Note that there are faster ways to get traffic, but article marketing is free, and again, the traffic that you will eventually get from the articles being published is fairly steady. 1. Don’t use the same content that you have on your site. Your site could end up getting penalized for duplicate content, so you better spend an 20 minutes or so to rewrite it. 2. Before you write your first article, visit one of the popular directories, such as Ezine Articles at http://www.ezinearticles.com/ to see what your article should be like. You can also get ideas for your author’s resource box here. 3. Writers Block? Lack of time? Use PLR articles, or hire a ghostwriter to write and submit articles for you. Make sure that you are submitting one article per week! If you use private label rights (PLR) articles, make sure that you rewrite them prior to submitting them. 4. Make sure that the topic of your article matches the topic of your site, and the topic of the ads that are being displayed through your Google Adsense ads. This will get you the best results. 5. Use your keywords in your article. This is search engine fodder; it drives the article up in the search engine results, which in turn brings more traffic to your site. Don’t expect immediate results. Sometimes, it takes the article directories several days, and in some cases, several weeks, to publish your article. You need to be using additional traffic generation techniques as well. Even if you aren’t seeing results from your article marketing techniques, keep at it. Remember, it takes time for it to ‘kick in,’ but when it does, it is well worth the effort. The hardest part of getting started with Adsense is getting Google to approve your website. In fact, for many, it is easier to get a $100,000 bank loan than it is to get a free Google Adsense account. The key is to be prepared before you apply. You can’t start using Google Adsense on your pages until you are approved. This means that you must prepare to open an account, before you apply for an account. The very first thing you must do is read Google’s Terms of Service (TOS). If your site doesn’t fall within the guidelines that Google sets out, it will be denied. Furthermore, even after you are approved and you start running Google ads on your site, if you break the TOS, you will be removed, and possibly banned, from the program. Specifically, what you are looking for is the Program policies, which can be found at http://www.google.com/adsense. Scroll to the bottom of the page, and click on then Program Policies link. The first thing to note is that Google will not accept any site that is not complete. This means that you can’t have any pages that are ‘under construction.’ All of the pages must be complete, and all of the links must be working. Make sure that all of your graphics are also appearing correctly, because even a broken graphic can prevent you from getting approved. Google also has a set of Quality Guidelines that must be adhered to before you can be approved. These guidelines, along with the program policies, will tell you exactly what you can and can’t have on your site, and what is expected of you and your site in terms of meeting the qualifications for a Google Adsense account. You can find these guidelines at http://www.google.com/support/webmasters/bin/answer.py?answer=35769. One mistake that so many would-be Adsense publishers make is not reading the TOS, the Program Policies, and the Webmaster Guidelines. Google lays these out in very specific terms, so there is no doubt as to the rules. They are also very serious about these rules. Often, people skip this step in the preparation – reading the rules – work hard to build a site, only to be disapproved by Google, or to be approved, but then banned from the program later. Don’t let this happen to you. These are rules that you must not only follow in order to get approved, but must continue to follow in order to stay in the program. You don’t want to spend days and weeks putting together sites, only to get kicked out of the program later. Google is very serious about this. Once you’ve read the rules, and made sure you understand them, the next part of the preparation is doing research to find out which topics will be the most profitable for you, and getting the site built. You just need one website that will be approved by Google. Remember that you only have to get approved for one site in order to get in the program, and from there on, you can publish as many sites as you want, on a wide variety of topics, and use Google Adsense on them, from the one account that you have been approved for. While many just put up a website that will meet Google’s standards, without doing any research in order to get approved, you could also take a little longer, and go ahead and build a site that you can use to target the high paying keywords. This is totally up to you, and it really doesn’t matter much which direction you go, as long as the site will get you approved for a Google Adsense account. I usually recommend creating and building a blogger.com blog, and apply using that one. You may already know this, after all Google owns Blogger. You probably have a ton of questions about AdSense. Lets take a look at some of them answered quite clearly. Unique visits: A visitor is considered unique when she visits your Web site the first time during a given period of time. Depending on the metric — the measurement used to track visitors on your Web site — that’s used, a visitor might be considered unique the first time he visits your site in a 24-hour period, the first time in a week, or the first time in an hour. For AdSense, the unique visits measurement is used to help determine the click-thru rate for ads. Click-through-rate (CTR): is the number of people who click an ad and are taken to the Web page designated for the advertisement. This page is usually a larger, more colorful ad, the opening page of a Web site, or a page that displays more information about the product or service featured in the ad. Average click-through-rate (CTR): The CTR is the actual number of visitors who click through an ad on your Web site. This is important because you’re paid when users click your AdSense ads. Average cost-per-click (CPC): The CPC is the amount that advertisers pay each time someone clicks one of their ads. This number varies widely and is dependent upon the cost of the keyword to which an ad is related. For you, as an AdSense publisher, the CPC is the basis for how much you’re paid. Using these three measurements — measurements which are highly variable — you can estimate how much you could make based on some hypothetical numbers. For example, assume that your Web site gets 1,000 unique visits per day and that the average value of the ads that are displayed on your site each day is $.25 per click (that’s the CPC). Finally, assume that about 2 percent of your 1,000 visitors click through the ads on your site each day. Now, you have numbers that you can work with. Using that equation and the hypothetical numbers I’ve defined, you could estimate that you’d make $5.00 per day, or $150.00 per month. Again, however, that’s assuming your numbers are exactly what I’ve defined here, and they probably won’t be — these are completely fictional numbers used solely for the purpose of example. Any change in those numbers — more or less visitors, higher or lower CTR, or more or less average CPC — results in different numbers. I can hear you wailing in frustration — “So what can I realistically expect to earn with AdSense?” I understand your desire for solid numbers, but the truth is, I can’t give you an exact figure. More accurately, I can tell you that if your site is well-targeted and has high traffic levels, you can expect to make pretty good money (at least enough to get a check every month). And if your site traffic is slower or your site isn’t as highly targeted, you might be lucky to make enough to pay for your Web site hosting each month. In an effort to keep costs down, Google doesn’t release payments until you’ve earned $100 or more in ad revenues. If you make less than $100 in a given month, your earnings will be held until you reach the $100 minimum. So, if you’re not making enough money, you’ll get your payment eventually, just not right away. Fortunately, there are ways to optimize your Web pages so that you get the most possible return on your AdSense ads. Leave a comment below if you have any doubts about AdSense…! See ya…!